Heart radio’s Jamie Theakston is in the middle of a challenge to complete 7 marathons in 7 days walking from Cardiff to London! 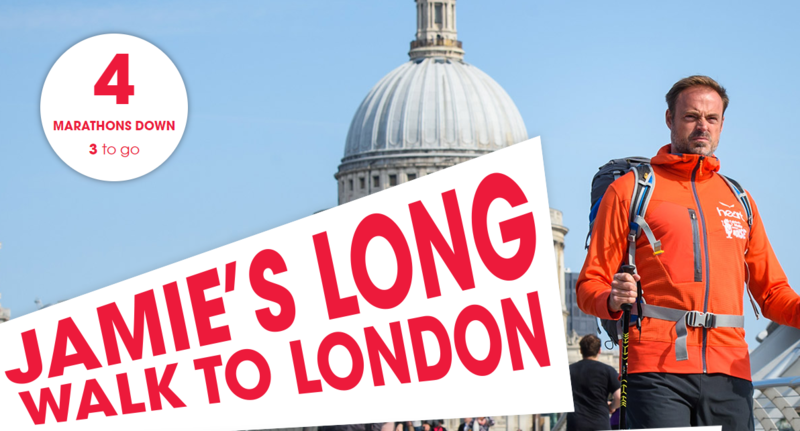 He will cover the 182.7 miles between the 28th September–5th October. In doing so, he aiming to raise £50,000 for a charity which helps disadvantaged children & young people. On Tue 2nd October, Jamie will complete his marathon for that day on Marlow Bridge! After arrival, he will be given a much needed sports massage by Mark Skoyles of Marlow Sports Therapy. The latest we have been advised is that he will arrive 6.00-6.15pm, but of course there might be some flexibility in this. We will try to keep you updated. Jamie is seeking donations for Global’s Make Some Noise – a national charity that funds projects helping disadvantaged children & young people, and thereby “making a noise” to give a voice to smaller charities which can struggle to get heard. By texting JAMIE10 to 70766 to donate £10, or text JAMIE20 to donate £20.